Heat oil in a large pan over medium high heat. Cut tempeh slices in half lengthwise. Add tempeh slices to pan and cook until edges are brown, 6 minutes or so, flipping halfway through. Remove from pan and let cool slightly. Toast bread just slightly to give it a little crunch. Spread each slice with 1 Tbsp mayo. 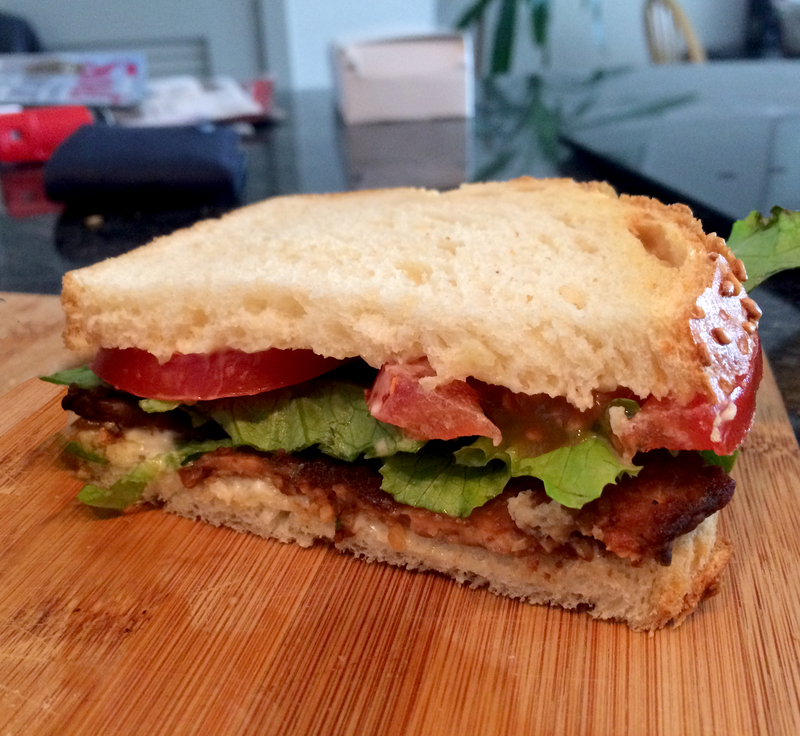 Divide tempeh slices between two bread slices. Top with lettuce. Top with tomato slices then season with salt and pepper. Top with remaining bread slices. Halve each sandwich. Serve with chips. Makes 2 sandwiches.